Have You Ever Conducted a Camera Survey? At this point, practically every hunter has a trail camera and while many hunters can tell you how many photos they have, few realize that trail cameras are tools capable of determining actual herd density, buck-to-doe ratios and fawn production. It’s an easy process and using these simple methods, hunters should be able obtain information on their land. When the science of wildlife management began in the 1930s, researchers developed numerous methods to determine wildlife population levels. Densities of wildlife, particularly deer, were an important topic. Two surveys, spotlight counts and track bed counts have been around several decades and are still used today and in the brush country in South Texas, helicopter surveys are used to survey deer. Each survey has advantages and disadvantages. Most landowners are surprised to find out that deer surveys cannot count exact numbers of deer. No matter how effective your survey, it remains an estimate. The effectiveness of a survey depends on your sample size, whether it was conducted correctly and if the correct survey was used in suitable habitat. If so, any of these surveys provide accurate estimates of a deer herd. Then, along came trail cameras. Overnight, surveying deer was revolutionized by increasing sample size and reducing the time required for other surveys. When trail cameras arrived on the scene around 20 years ago, universities in Texas and Mississippi immediately recognized their importance in surveying wildlife. Some hunters may only be interested in numbers of bucks, preferred locations, or timing of movements. However, if you are a manager, you should take it one step further. Good managers should understand acres per deer, buck-to-doe ratios, and fawn/doe ratios. By combining this information with harvest records of deer age, weights and antler size will allow managers to closely monitor factors like carrying capacity. Excluding environmental factors such as drought, lower fawn production (fawns/doe) or reduced body weights in certain age classes may indicate changes in the habitat. The camera is the answer. To obtain accurate fawn-to-doe ratios, camera surveys should be implemented to coincide with increased fawn activity. This is generally around August to September. Using one camera for your survey provides a random sample of your deer herd but how accurate is it? If your property is 100 acres or less, extremely accurate. In this case, research shows you are photographing around 90 percent of your herd. With one camera on a 200-acre tract of land, you should photograph 70 percent of your herd. Keep in mind, as acreage goes up, percentages of deer observed go down. Thanks to Mississippi State University Deer Ecology and Management Lab the nuts and bolts of this survey have been worked out. One result found length of time is important. For example, a one-day survey only provides 40 percent of the herd on a 100-acre tract and only 10 percent of the herd on a 200-acre tract. Allowing plenty of time to conduct the survey is important because the percentage of the herd being photographed steadily increases as you maintain your bait site. When you reach day 14, numbers of deer observed remains around 90 percent. To get the most accurate percentage at your site, maintain the camera at least seven to 10 days, but no more than 14 days. Dr. Bronson Strickland, an associate professor at Mississippi State University who helped lay out most of the ground work in designing camera surveys said, “within a seven- to 10-day survey period, most deer will visit the site, but where it gets difficult is when you have say, 4,000-acres.” At that point, you need to increase the number of camera sites. To obtain a 90% sample size would require 40 cameras. Obviously one camera would not provide a valid sample size for a tract this large, so you might consider dividing the property into sections or increasing cameras then combining all numbers together for herd total. Strickland thinks one exception to this rule (using one camera per 100 acres) is increasing the amount of time the survey is normally run. This compensates for deer routinely moving on and off the property but in all cases, run the survey the same way each year. By doing so you should still have a good relative index of herd density over time. The site you choose should be easily accessible. Once deer start using the bait, you will need to visit the site daily. Bait sites doesn’t necessarily need to be in the center of your property, but the location should hold deer throughout the year. Don’t use regular feeding stations. Feeders can block views of antlers making individual buck identification difficult. Better locations are food plots or woodland openings with sparse ground cover. Shut down ongoing feeding operations before and during camera surveys. Avoid setting the camera site in wide-open fields. Photos in these locations have too great a depth of field or background. Photos taken on these locations are not suitable for population surveys because most of the picture is solid black at night while daylight photos tend to have extensive glare. You will find few open field shots suitable for population estimates. The most desirable sites have a background such as a tree line that is within 15-20 yards of the bait. Site preparation is critical, so make sure the bait site is relatively clean or open. Cut brush or low-hanging limbs that may be visible. That is, unless you want hundreds of photos of twigs moving in the wind. During pre-baiting, check photos to determine where a camera needs adjusting. Hanging a camera only requires a tree but if no trees are suitable use a metal fence post. Set camera so the beam is 20 to 30 inches above the ground. This height works best for avoiding too many squirrel photos. Pour bait in a long, linear line starting 10 feet in front of camera and out about 25 to 30 feet. Try to avoid leaving human scent on or around the site. If pigs find your site, continue feeding them, but while doing so, set up an alternate camera site at least 500 yards away. Hopefully pigs will stay away long enough to survey deer. Throughout the survey, continually collect and upload photos into individual files for bucks, does, and fawns on your desktop. Since bucks are the easiest to individually identify, they are calculated first to obtain what’s called a population factor. This factor is obtained by dividing total number of individual bucks by total number of bucks photographed. At this point the formulas are easy but best explained by the Mississippi State University Deer Lab. The work sheets and examples are easily followed. Just simply punch in numbers on your sheet to determine factors. As with any wildlife survey, consistency in methodology is crucial. These camera surveys will give you a quick view of your herd and best of all, camera surveys are the easiest and most fun to run. Select the right camera. Use only digital cameras with color photo capability. Have a 5 to 6 MB (minimum) memory card that is programmable for date and time. The flash range should be 30 to 50 feet (minimum). Built-in battery sensors are a plus and if a camera manufacturer recommends a certain battery, use it. Know your state baiting laws before you start the survey. All 50 states have their own regulations regarding baiting, so read and understand these before setting bait. Even if you are not hunting, baiting may still be regulated. If baiting is totally prohibited, choose high-use areas such as trail junctions for camera sets to obtain population indices. Understand importance of consistency in collecting data. Once you choose a camera site, maintain it in the same manner year after year. Continually changing timing, pre-baiting, or locations make it difficult to compare changes in your herd over time. The question then becomes; is the deer herd changing or is it because the bait site changed. Choose and establish a good bait site. 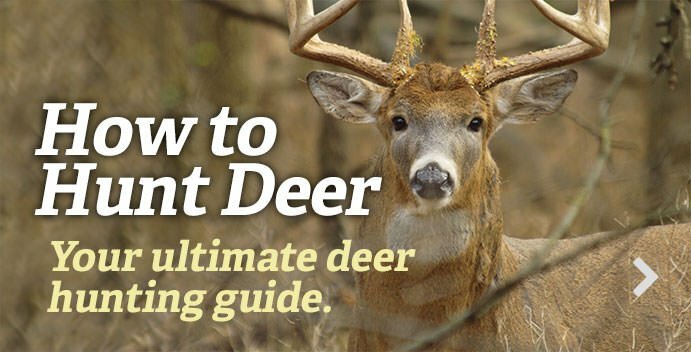 Choose a site that is easily accessible and holds deer all year. Avoid wide-open fields and use areas where there is a wooded background within 15 to 20 yards of the site. Set bait out in a long linear line for 10 to 30 feet from the camera. Shutdown all other feeding operations during survey. Making simple calculations for herd composition. The best explanation along with forms and how to calculate camera data can be found in a publication written by the Mississippi State University Deer Lab called “Conducting Camera Surveys to Estimate Population Characteristics of White-tailed Deer.” The publication along with other interesting deer research can be found there.